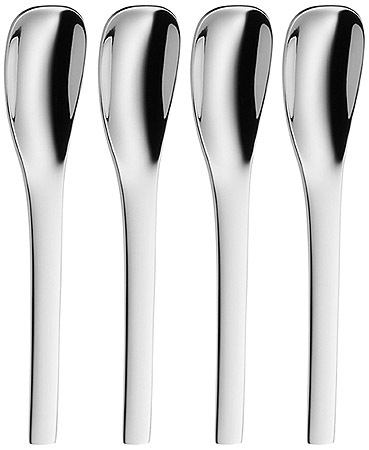 These stainless steel espresso spoons from WMF are part of the Velma series. What makes an espresso spoon different from a teaspoon that you might use with coffee? Well, a normal teaspoon won’t fit into those teeny tiny espresso cups to stir in your sugar. That sort of makes these a “single purpose piece” of flatware in your cutlery drawer, but if you are a big espresso drinker or run a cafe then these would be perfect for you. A set of four and made of 18/10 stainless steel they are dishwasher safe and ready for today’s first shot. In the cutlery world right now, black is the new black. This set from Cambridge Silversmiths features very nice black handles. I find the entirely black flatware sets are a little unsettling. 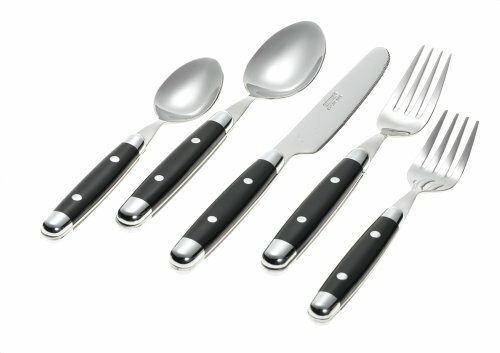 The “Jubilee Black” 20 piece setting for four is made of 18/0 Stainless steel mirror finish with durable plastic handles. Each setting has a teaspoon, soup spoon, dinner fork, salad fork and dinner knife. Dishwasher safe with a 25 year warranty and a price than can’t be beat. This is a nice looking set. Well this is a clever bit of cutlery design. This spoon is made of stainless steel and features a longer 5.5 inch handle to reach into deeper jars of honey or jam. 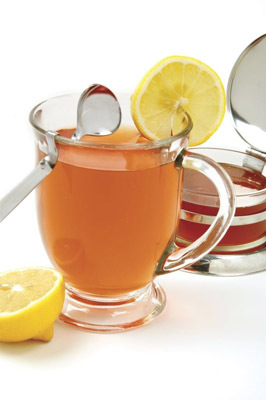 Then once you’ve mixed the honey into your tea the spoon has a handy little bend in it to rest on the edge of your cup or the jam jar. And it needn’t be just a spoon for honey or jam, it would be handy for spices and other baking ingredients. I’ll admit it’s a weird looking spoon but a useful bit of flatware. According to an article from Ben Spencer of the Daily Mail Online: Despite centuries of tradition, scientists say that fine cutlery is made of the wrong stuff. 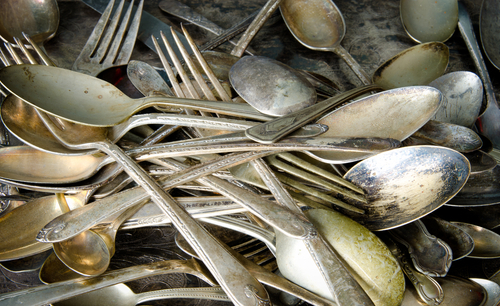 Silver knives, forks and spoons make certain types of food taste unpleasant, they have discovered.